Click to view all 16 images. 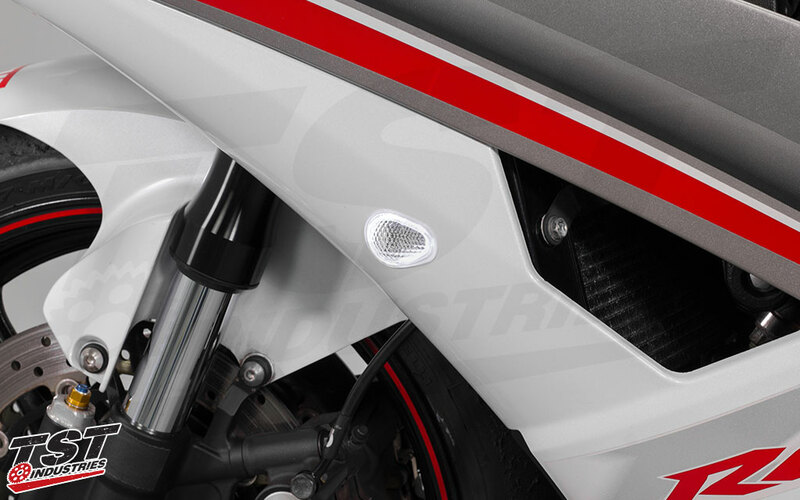 HALO-GTR: the class-leading LED flushmount turn signal system for the 2008-2016 Yamaha YZF-R6. Quality, personalization, and visibility don't get any better than this. This HALO-GTR front flushmount signal kit is a pre-packaged bundle of the GTR Flushmount Signal and the HALO Running Light Module for the Yamaha R6. By purchasing this bundle, you get an awesome solution while saving a couple bucks in the process! Need an LED Flasher Relay? 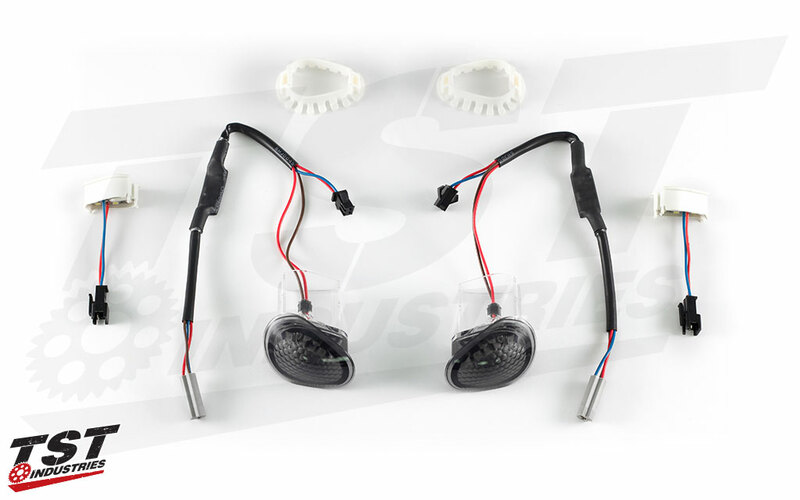 Use our Buy Together option to save some money on your order when you bundle it with your HALO-GTR signals. *Discount applied to subtotal in shopping cart. 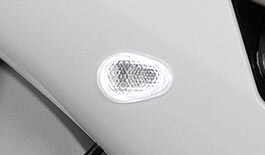 The surround light is included in this product (in the color of your choice), but you can choose to replace it with a new color, or remove it, at any time! The HALO-GTR technology has been one of TST's most successful innovations and has been upgrading Honda's around the world for the past several years. With the most advanced optics in the flushmount signal market, a shape that is contoured to the outer geometry of the fairing and fits perfectly within the signal well, and true plug-and-play installation, there is truly nothing else like it on the market. 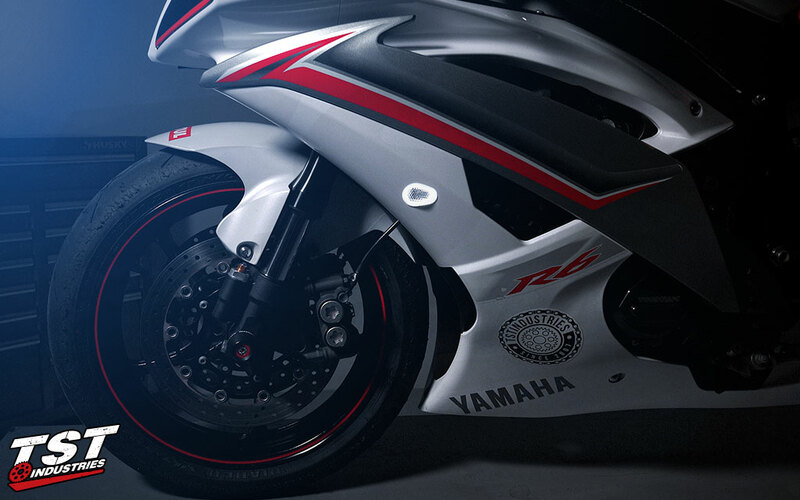 Now, you'll be able to get this unique look on your brand new Yamaha R6! NON U.S. 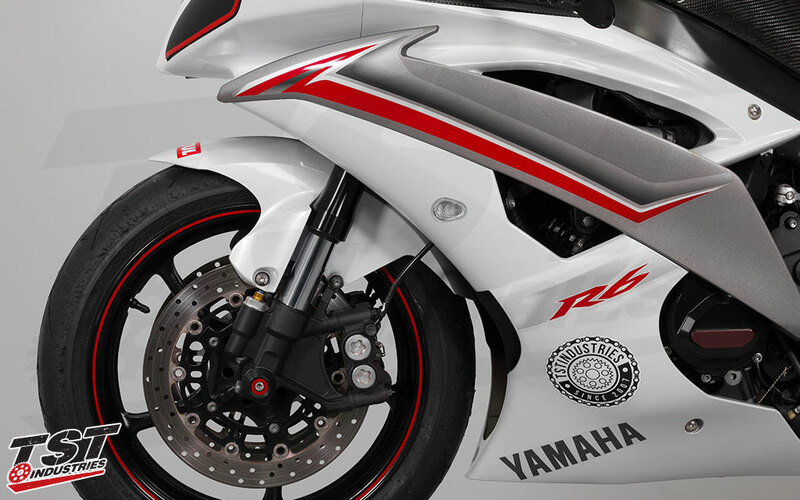 BUYERS: The electrical connector plugs on this particular product have only been verified to fit the North American models of the Yamaha YZF-R6. If you are outside of that market, it is your responsibility to verify connector plug compatibility. 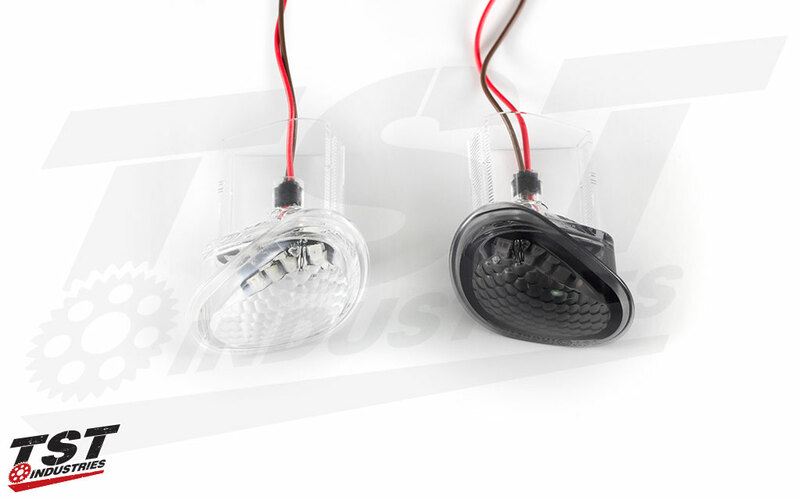 FLASH RATE: If you don't already have one of our LED Flasher Relays installed on your R6, we highly recommend you include one in your order. 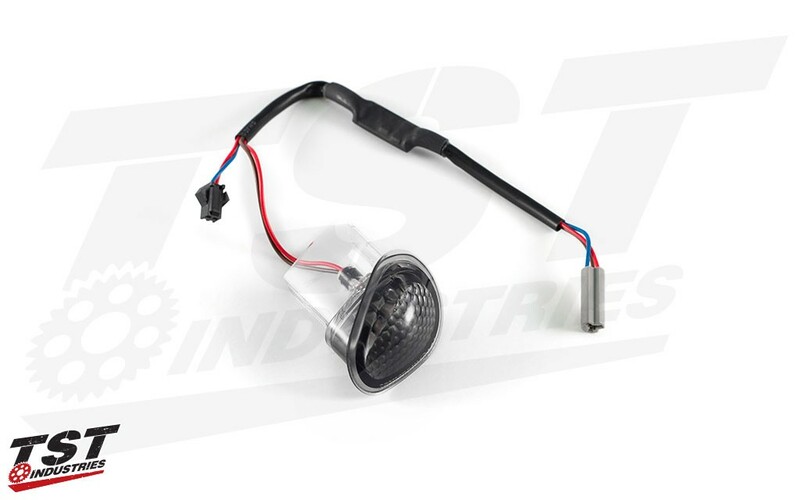 Not having an LED Flasher Relay may cause your LED signals to flash faster than the recommended speed. 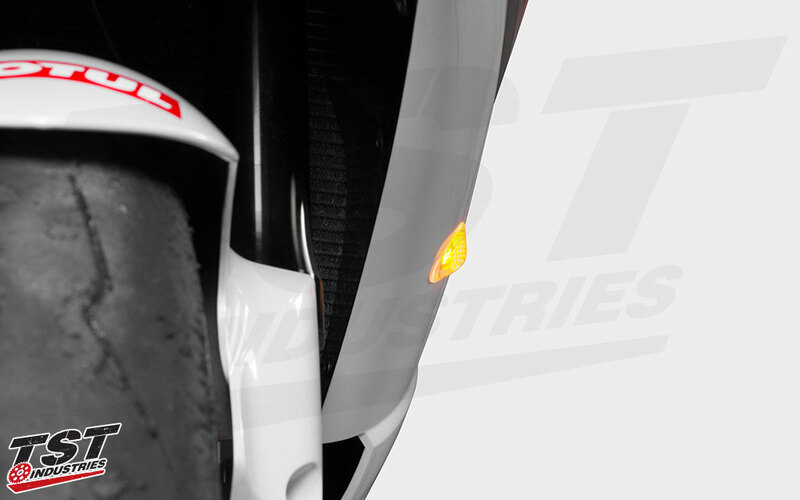 To find the relay that fits your bike, navigate to your specific motorcycle and find the relay located in it's category. Not sure if you need a flasher relay? CLICK HERE to find out! Please note this item is not DOT approved and may not comply with the laws and regulations in your area. See our Terms & Conditions for more information. 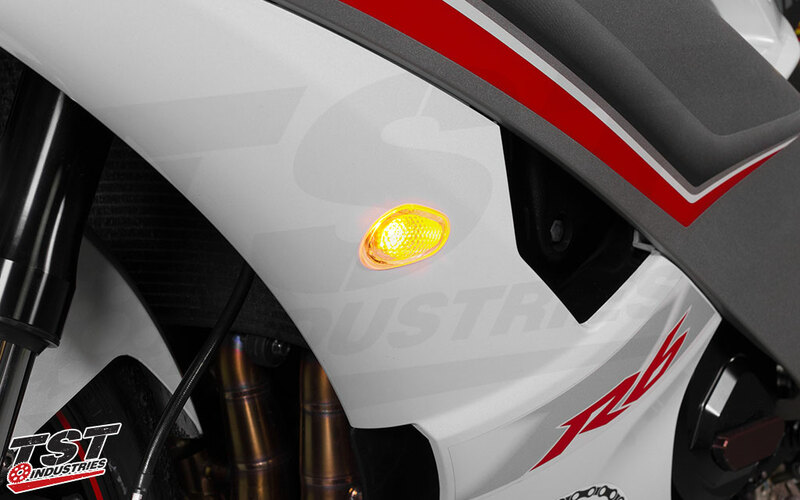 I have a 2016 R6 and these are great looking lights. Super easy to install. I had the non throttle side installed in less than 10 min and the throttle side in about 15 min. Follow the video install and all will go well. The fit is perfect and the lights are super bright.